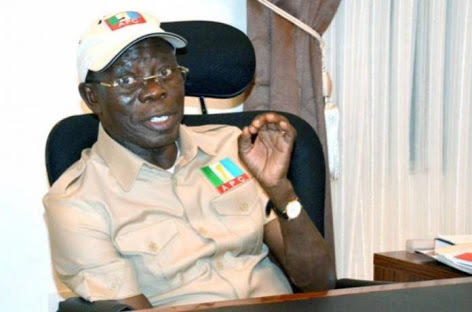 Embattled national chairman of the APC, Adams Oshiomhole has spoken out on his ordeal with the Department of State Security, DSS, stating that the security agency can not direct him to resign as the party's chair. He said he was not arrested but was engaged in a routine meeting with the security agency. Oshiomhole said, “We have met a couple of times to discuss issues that have to do with the country, our party, if they have information or if there are certain clarifications they need… we’ve had conversations on a variety of issues. “For the man on the street, I wasn’t hired by DSS and I cannot be requested by the DSS to resign or to retain the job.